You know exactly the mode I'm talking about. You're hypervigilant. Head down. Moving all the time. Hammering it morning until night. Stopping at nothing to regain control, right the ship, shore up the crisis, keep your head above the water. Job seekers are quite often operating in machine mode, especially those facing (or experiencing) layoff or stuck in a miserable job or running out of money. And while stress can, if channeled properly, inspire one to move mountains, it can also wreak havoc on your physical and mental health. And when that's going down, guess what? You're probably not going to be all that effective in overcoming your challenges, finding that new job or resolving a formidable situation -- no matter how hard you're gunning it. Even worse? Operating in machine mode for a marked period of time can lead to considerably bigger problems, including depression, adrenal fatigue, impaired memory, insomnia and substance abuse. And if you carry on like a piece of factory equipment for too long, you also risk forgetting what "normal" ever felt like. Because machine mode becomes your normal. Are you in machine mode now? Is it feeling really bad? True confession: Until quite recently, I'd been operating in machine mode, for many months. Business has been moving at a lightning fast clip for many months. Keeping up was requiring nearly every minute of my focus and time, nearly every day of every week. In the midst of that, my spouse experienced a potentially life-threatening health issue that prompted some immediate, necessary changes within our family. Add to this three kids, all of whom have plenty of activities and needs, and a dog who has decided that eating our household belongings when we're not looking is totally her new thing. The only thing I could think to do against this backdrop I called "my life" was put my head down and keep powering through. Day after day after day after day. Until I had my own (relatively minor) health scare, and realized the level of exhaustion I was operating at is simply not sustainable. Until I realized that the intense, stressful pace was becoming my normal, and that I was forgetting what a relaxed normal ever felt like. And so I took some immediate actions. Because I had to. Do you need help easing out of machine mode? Few things will impede your ability to clear your head and ease out of machine mode more than noise -- outer and inner. We live in a noisy, demanding, constantly moving world. In order to catch your breath and reclaim the you in this equation, you've got to make it stop, or at least come to a whisper for a while. Silence your phone, turn off the TV, stop the YouTube videos, step away from your email (seriously, no one will die), take a walk in the woods. Do everything in your power to command some silence for yourself, every day. This isn't me professing sparkles and woo woo here. I'm as pragmatic as they come about just about everything in life. But I discovered an incredibly doable way to disrupt the runaway train when I feel myself in machine mode - and that's simply paying attention to my breath. You don't need to take big, deliberate inhales and exhales. You don't need to count, or huff and puff. Just focus on it. This is also known as journaling, but because I've got a weird aversion to this term, I call it "dump it onto paper." By dumping the madness and fervor going on inside your head out onto paper, you immediately clear some space for other things. This can be incredibly beneficial if you're trying to solve a problem or construct a breakthrough idea, or even just relax a bit. I used to be a marathon runner. And then I spent like six years sitting in front of my laptop, building what today is JobJenny.com. I'm proud of the company I created. I'm not proud of the damage I did to my physical and mental health by prioritizing screen time over exercise. Two months ago, I forced myself back into the fitness game, even though I insisted (in my head) that I had no time. The difference two months of regular exercise has made is astounding. I sleep better. I look better. I feel better. My eyes don't burn with fury every day. Exercise is like meditation in motion for me and I've realized (once again) how incredibly stupid "not having time" for it has been. I'm not fully out of the woods yet. 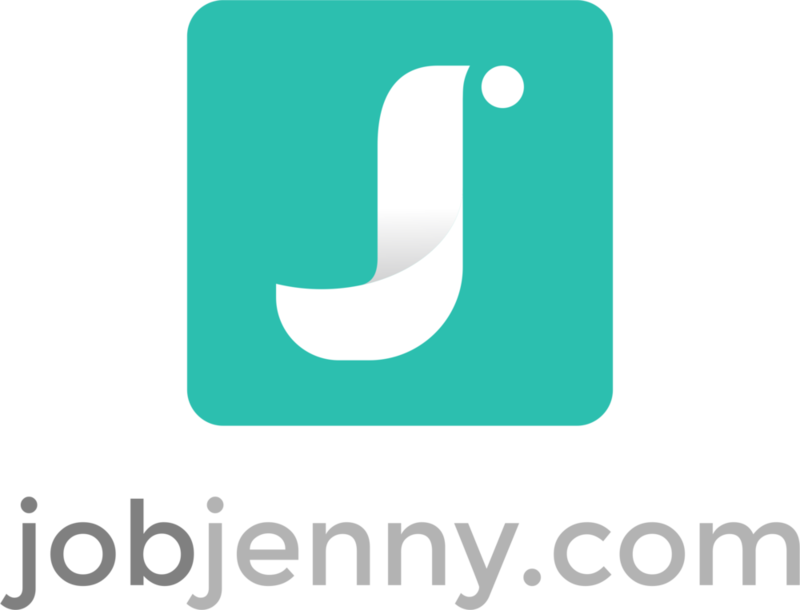 As many of you have probably noted, we're also slowing down our JobJenny.com services this summer, in part to enable me (and the team) to stop operating in machine mode. I'm also working with a professional coach to help ensure I can keep growing this business without making "crazy busy" my normal again. Now, don't get me wrong -- There is certainly a time and place to really hammer it. Of course there is. And taking a run at your goals isn't just commendable, it's a must. But if you're running yourself into the ground, and making little progress in the meantime? Don't keep going. Regroup. Recharge. Replenish. And then go set the world on fire.